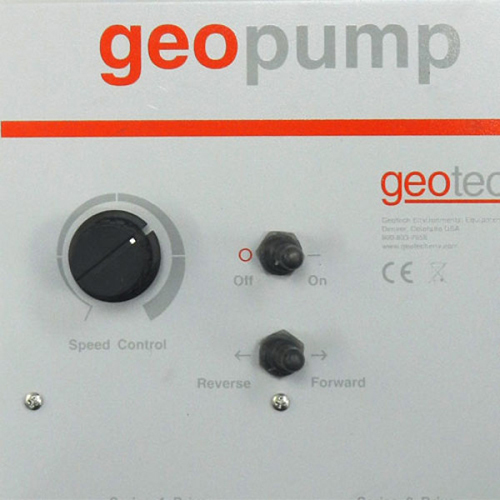 The Geotech Geopump™ Series I and II Peristaltic Pumps are designed for single and multi-stage pressure or vacuum pumping of liquids. 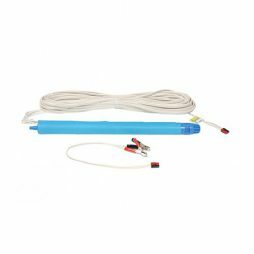 They operate by mechanical peristalsis, so the sample only comes in contact with the tubing. 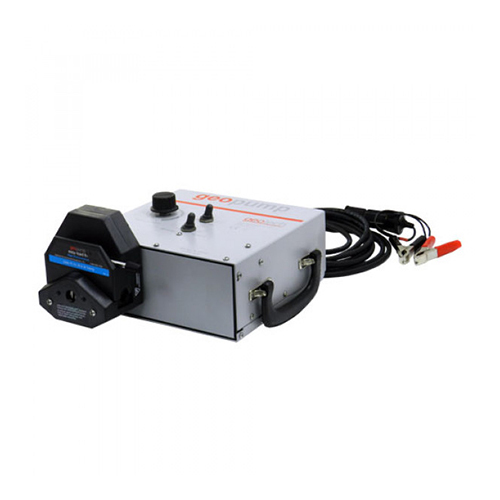 This allows for consistent sample integrity as well as easy cleaning and replacement. 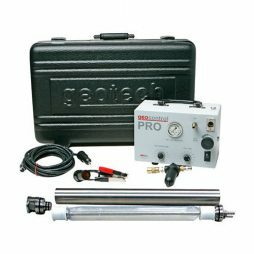 The Geopump is ideally suited for field sample removal from shallow wells and all surface water sources or for laboratory use. 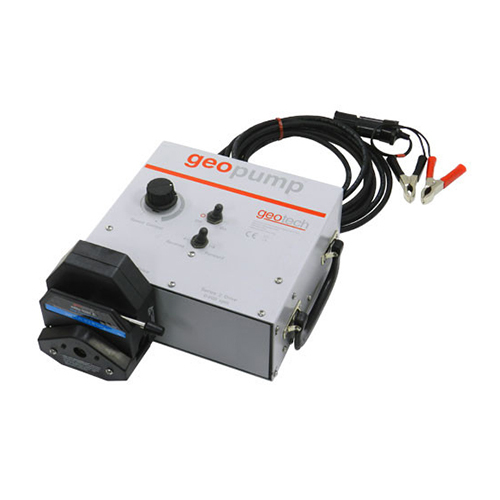 The Geopump Series I has one pumping station that can be piggybacked for multi-station pumping. They have variable speeds ranging from 60 RPM to 350 RPM. 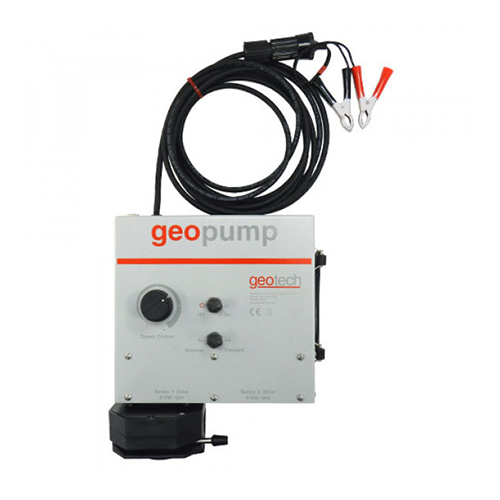 The Geopump Series II has two pumping stations that work in conjunction and can be piggybacked for multi-station pumping, The first pumping station has a variable speed of 30 to 300 RPM and the second station 60 to 600 RPM. 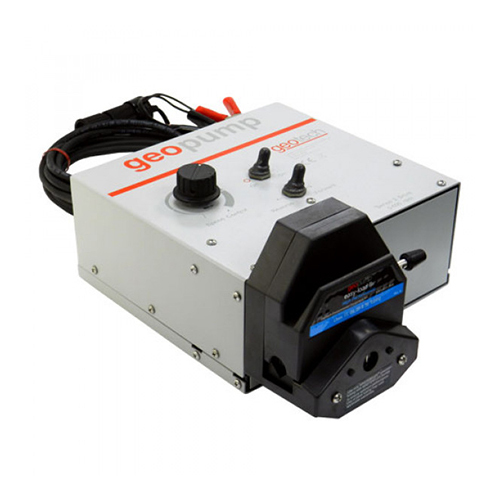 Includes pump, hardwired DC power cord & EZ-load 2 pump head. 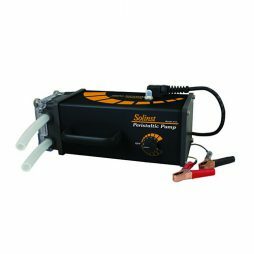 Includes pump, hardwired DC power cord & EZ-load 2 pump head (second pumping station is not included – price on request). Model 407 Bladder Pumps are available in two sizes, 1″ x 2ft and 1.66″ x 2ft. 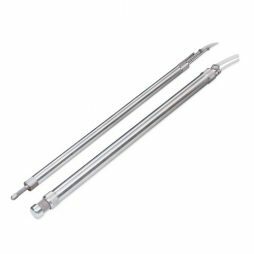 The stainless steel Pumps are ideal for applications where VOC analysis of the sample is important. They are excellent for most municipal, industrial, and general environmental sampling purposes.